This suede clutch purse is such an adorable item you'll want to wear it over and over again. If you've got some suede you never thought you'd use again, this is the perfect project to bring that suede fabric back to life. 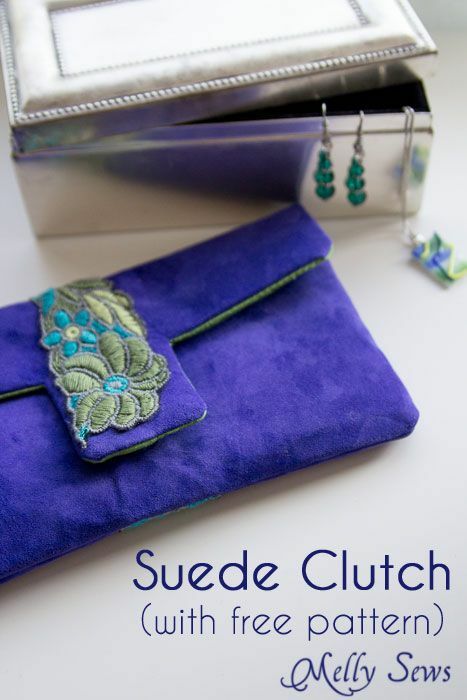 The suede clutch purse tutorial can be found here. Tutorial by Melissa at Melly Sews.